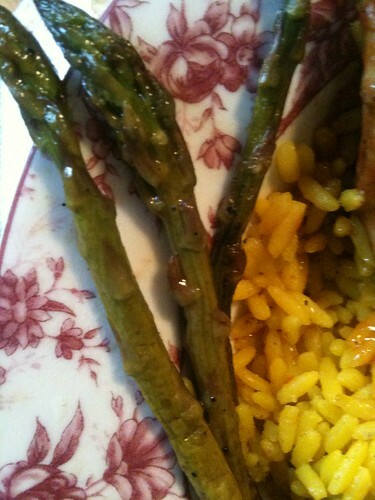 I was pretty sure that I hated asparagus until a couple of months ago. Then on my mom’s birthday I found out an hour before dinner that I was cooking. I hit my new organic supermarket to find food that my whole family could eat. Half of my family is vegetarian, and the other half is pickier than I am. Asparagus was one of the first veggies I spotted. The asparagus stalks ended up cooking fairly quickly and even though when I shot the Get Em Girls recipe video below I was anti-asparagus, asparagus is now one of my faves. ASPARAGUS COOKING HOW TO: Trim and cut the ends of the asparagus. Add olive oil and garlic to a frying pan, saute for just 5 minutes and chow down. Be careful not to overcook. 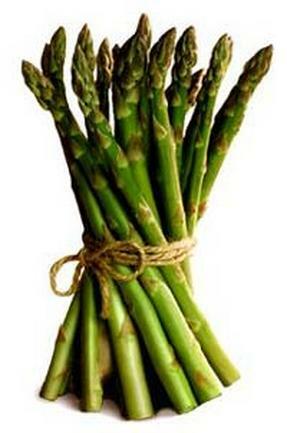 If you’re not cooking the asparagus right away store the stalks standing up in water in the fridge. If you aren’t afraid of the cholesterol serve with herb butter. Yum.